We really should have seen this coming. The moment the first Toyota Prius rolled off the line, promising incredible fuel efficiency by marrying a gasoline engine to an electric motor, we should have known that before long there would be unspeakably powerful, gas-guzzling supercars using the same formula to a different end. McLaren, Porsche, and a handful of other manufacturers have built hybrid performance cars with price tags that make millionaires shudder. 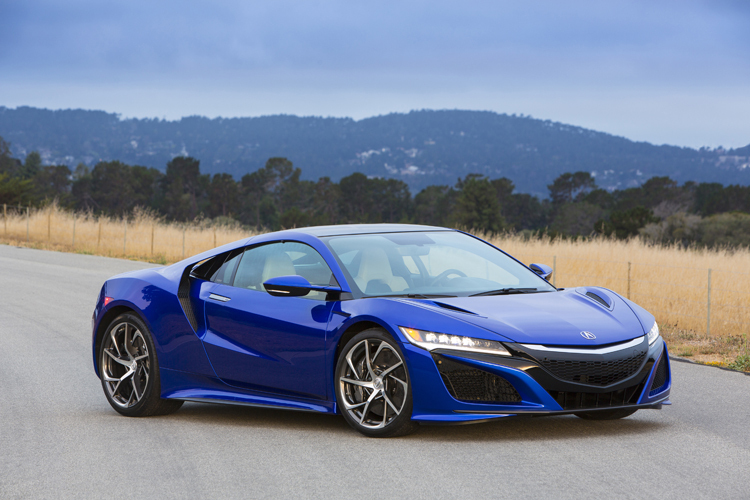 What makes the 2017 Acura NSX so different? While its $200,000 price tag makes it beyond the means of most people, it costs a fraction of its competition in the hybrid supercar segment, and its state-of-the-art technology is likely to trickle down to vehicles that the rest of us can drive. The new NSX has too much going on in the innovation department to even come close to summarizing in a single article, but chief among those innovations is the NSX’s use of multiple electric motors at its wheels. The 9-speed gearbox works with the electric motor that powers the rear wheels, which in turns works in harmony with the two electric motors that power the front wheels. This complicated and costly system, which certainly plays a role in the NSX’s hefty asking price, has serious implications for the way less-powerful hybrids are engineered down the road. By isolating the way that the rear wheels, left front wheel, and right front wheel get power, Acura has created a car that can give very different amounts of juice to different wheels in different scenarios. The NSX may be a Ferrari-stalker with Acura reliability, but there isn’t a car in Acura’s lineup that wouldn’t benefit from the hybrid technology that takes the NSX to new heights for 2017. A technology that was originally introduced to make cars hyper-efficient is constantly evolving, and the future looks bright for more than just fuel economy.